8th graders DO NOT register until July! 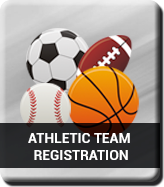 Step 1: Once you have the physical form complete you may either upload with your registration or bring into the Badger High School front office. If you are in need of a physical, download the physical form or pick one up in the Badger front office. Step 2: Complete all sections of the Registration Form. Once you have completed these steps, you are registered and can participate in Badger Athletics. If you have questions or need assistance with the registration, please contact Tami Buntrock via e-mail.